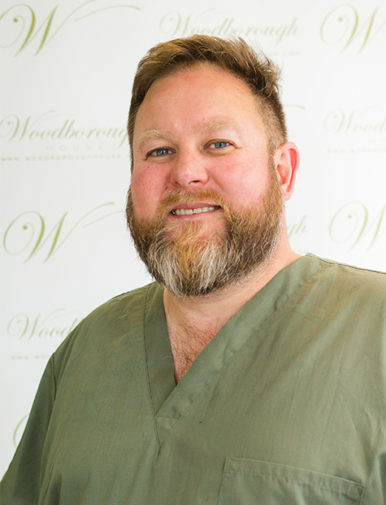 Nick Fahey works as a specialist prosthodontist with a special interest in oral surgery and dental implantology at Woodborough House Referral Practice in Pangbourne, Berkshire. Where he is the clinical lead and one of the practice directors. After training in his native New Zealand, Nick studied at the Eastman Dental Institute where he obtained the M.Clin.Dent degree in Prosthodontics. Nick also holds the following Royal College of Surgeons memberships and fellowship MRD RCS(Ed), MFDS RCS(Eng) and FRACDS. His areas of interest include all aspects of dentistry related to dental implants and fixed and removable prosthodontics. Of particular interest has been his involvement in digital dentistry. He is particularly interested in computer-guided surgery for the simplification of surgical placement and restoration of dental implants. This is facilitated by using 3D x-rays in conjunction with virtual implant planning software, intraoral scans, 3 D printing of surgical guides and milling of CAD CAM restorative options. Nick is a Straumann accredited mentor and a member of the ADI. Nick is a fellow of the ITI, where he is also a ITI study club director. He has presided over the LDSC and was a founding member of the NZDSL. He also is a past president (and President Elect) of the Reading Branch of the BDA (2012 + 2018).